This lavishly illustrated Thames & Hudson book on Atlantis is packed with information. 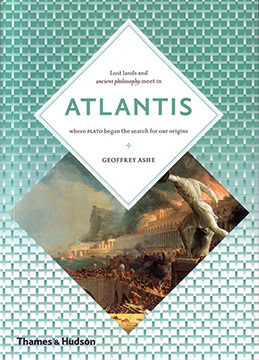 Chapters include: Atlantis Portrayed; Shambala: an Outpost? ; Lemuria and Mu; Plato and His Story; Earthly Paradises; Trans-Oceanic Echoes; Lunar Upheavals and Hidden Spaces; Occult Approaches; Shasta: A Lemurian Colony? ; more. Published at $14.95, our price $12.95. A deluxe illustrated book in color and black and white. Imported from Britain.